First off there are two important points to note 1) This game has nothing to do with SAGA, other than dealing in part with the same period of history, although Swordpoint comes from Gripping Beast it’s not from the SAGA stable and shares none of the same rules. And 2) wargames Illustrated have been involved in the photography and graphic design of the game, so we won’t be passing any judgment on the great aesthetics of the book, leaving that for others to comment on. It’s clear from early in the book we are dealing with a ‘fluff free’ set of rules. We don’t get any potted history it’s all rules and (at the back) army lists. Clarity is also something the author has strived for throughout with blue boxes pointing us to relevant related ‘Special Rules’, or other box outs underlining particular rules. ‘Basic Concepts’ begins with a look at troop profiles and then base sizes. As both are key components in the game let’s take a closer look at these. 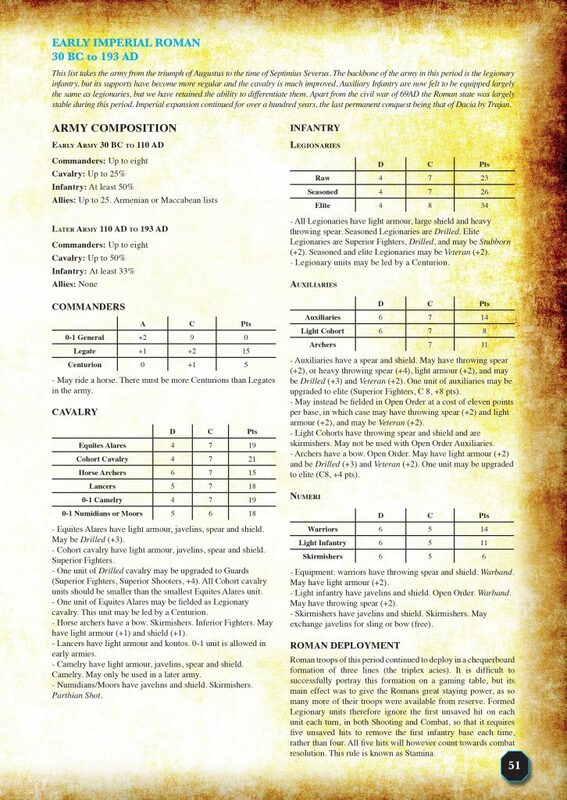 We have a matrix for base and unit sizes, picking out some of the standards, we can see that ‘Formed Infantry’ need to be based four figures to a 40 x 40mm base and ‘Formed cavalry’ two figures to a 50 x 50 base. With regard to a unit’s profile, we have three stats; Defence, Cohesion and Points. Where’s the ‘attack’ stat I hear you think?! Well that’s included in the leader’s profile, clearly underlining the importance of commanders in the game. 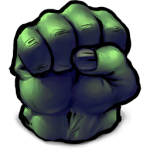 The next page introduces us to other key factors in the game, including ‘Base Strength’ which is important when determining combat and moral results and ‘Momentum’ – a factor that builds during a game and is tracked using tokens, which are gained and ‘spent’ during the game. Swordpoint is not a ‘you-go-I-go’ system. Each player completes all his actions within the game turn at the same time as his opponent. This turn is divided into four phases, which are detailed in the next section of the rulebook. Skipping on to the Shooting Phase we’ll get into some of the bloody action of the game and see how hits are made. The range of a bow is 24”. One D6 is rolled for each base shooting with the basic score required being a 4 with modifiers being applied for things like range, cover, and ability etc. In ‘converting hits to kills’ we learn that for every hit on the target, a D6 is rolled again and if a score above the defenders ‘Defence’ is scored (again modifiers are applied) we check on the results which could mean either removal of the base or a ‘Discouraged’ marker being placed next to the unit, which could in turn lead to a ‘Momentum’ token being gained. From Shooting we move onto the Movement Phase. One key feature of which is Initiative, this is diced for by both players at the beginning of the phase the highest scorer going first in each part of the phase. Momentum tokens can be used here to increase a players roll. ‘Charges’ and ‘charge responses’ are covered in detail, followed by manoeuvres, formation then terrain. 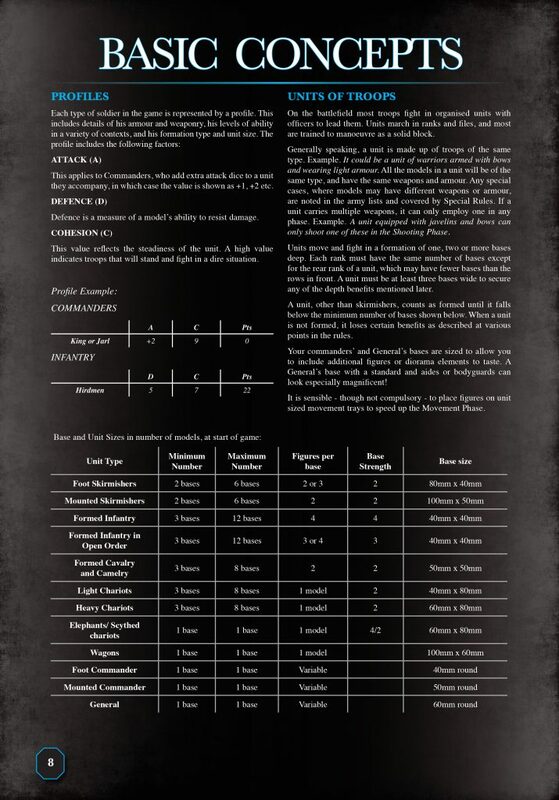 This is probably the heaviest section of the rules, with Swordpoint being a rule set which seeks to leave no ambiguity concerning movement or formations etc. There are plenty of diagrams here to help with this. Combat is covered over the next eight pages and we are informed early on that ‘Momentum ‘tokens can to used to sway the fight in your favour by discarding tokens for bonuses in the combat resolution. 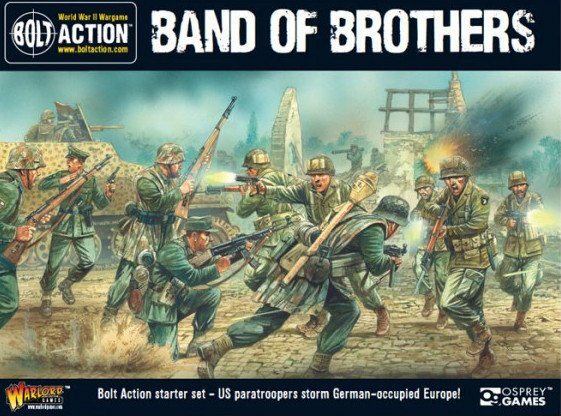 As you might expect, unit depth, flanked, rear attacked and Discouraged units all incur dice modifiers in combat, but ‘Line of Battle’ also plays a key role in moderating the combat result, based on units supporting each other, what the author calls “comfort in numbers”. The consequence of the combat depends on the difference between the combat resolution scores, with results ranging from ‘Continue fighting’ to ‘Break and Flee’. We then go on to the rules for Fleeing and pursuit. At this point we’re into Cohesion tests and only just under half way through this 66 page rulebook. So, we’d better get a move on! Cohesion tests are taken when allied units flee nearby, or the players general is slain etc. From there we are onto dealing with ‘Command Figures’ who can either operate independently or as part of a unit on the battlefield. 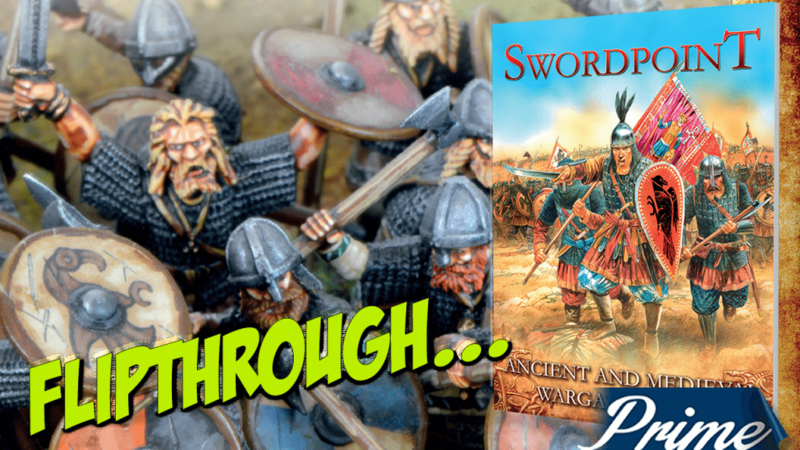 ‘All About Order’ covers the three different formations available to units in Swordpoint; Closed, Open and Skirmish, and what effects they have on the battlefield. ‘Specialist Forces’ provides rules for chariots and elephants. After this we have four pages of ‘Special Rules’, including a lot of characterful abilities like Parthian Shot, Tethered Camels and Warbands. Before we get to the Army lists there is a very useful ‘Reference Section’ – a two-page summary of the modifiers which affect shooting and combat. 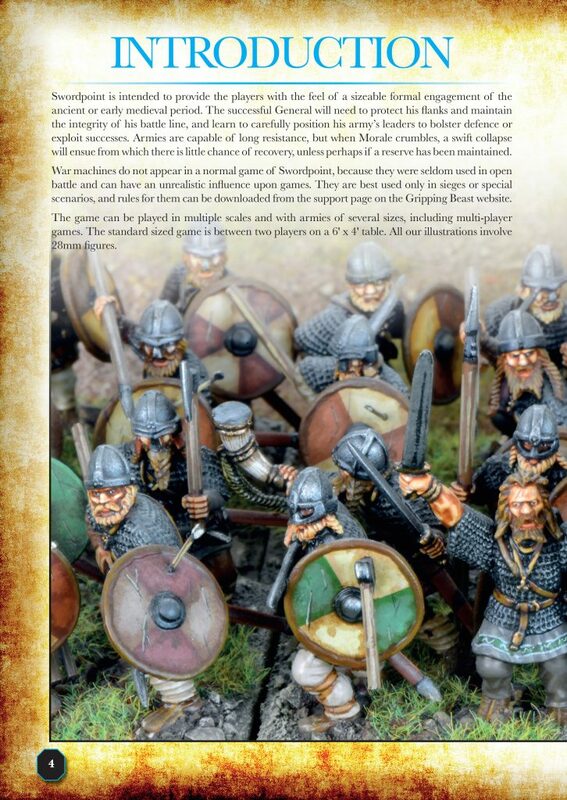 Swordpoint is big on Army Lists, there are twelve in this book, more available online and four Army Lists planned for 2017. The Lists in the book seek to give a cross-section of the period of history covered by Swordpoint from the Later Carthaginians of 270BC to the Ordensstaat of the 16th Century. Swordpoint concludes with a real treat in the form of an index. 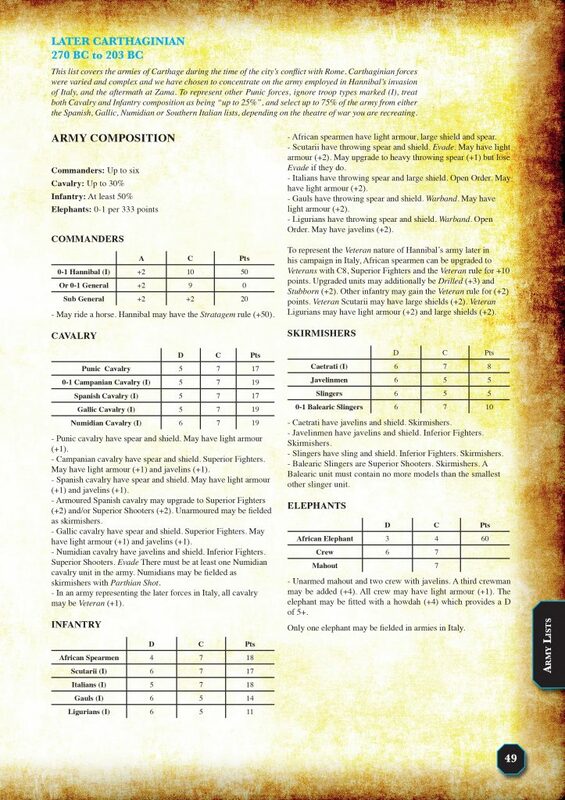 Not inherently exciting, but an index in a wargames rulebook is a rare yet massively useful thing and Gripping Beast should be applauded for taking the time and effort to include one in their rulebook. So that’s our whistle stop tour around Swordpoint. It’s a set of ancients rules that certainly knows what it wants to be and is geared towards wargamers who will enjoy locking horns with each other in battles that bring historical tactics to bear in equal point games that lend themselves to tournament style encounters.